Welcome to part three of what was originally a one-part blog post. There’s another part next week too…there just seems to be so much to say on this topic, and, I’m not quite sure how it happened, I’ve gone from my general feelings about being an Indie author to an actual nuts-and-bolts how-to… I’m just going with it now, too late to stop. I also use a paperback book I bought a few years ago now. It’s by Michael Boxwell and it’s called Make an Ebook. If you are buying a book, especially a printed book, to tell you how to do this kind of thing, do check the date of publication and the scope of the content. There are loads of books out there, and a lot of them are seriously out of date, as I have discovered to my cost. The basic watchwords of formatting are, for Amazon, keep it consistent, keep it simple. I’ve put together a kind of crib-sheet with my tips on formatting a book for KDP publication and for Createspace. It doesn’t cover everything, and I assume you are reasonably good with IT and word processing. Hopefully it will help. You can read it here. If there is anything I’ve missed out that you really need to know, please send me your questions! Or if I’ve made a mistake again – we need to know this stuff! Blurb – how long, how many versions? Don’t confuse the number of characters with the number of words. It’s best to check your limit by opening your text document, and in Word, you can find the character total by clicking on the little bit at the bottom left of your screen where the number of words is displayed. This will bring up a box which shows the character numbers too. long version – can be anything from 1500 to 4000 characters. This will appear on your Amazon product page, any other book distributer product page ie Draft2Digital/Nook/Barnes and Noble/Kobo/Apple or anywhere else you choose to put it – on your blog, website, Goodreads etc. These are: Copyright page, dedication, other books by this author (useful to have! ), and about the author. I also include a sneak peek of the next book if I can, and there can be a contents list at the front or an index at the back. Some authors advocate putting all ‘front’ matter at the back, as it means that the Search Inside function on Amazon gives the reader more ‘meat’ in terms of reading material from the actual publication, and not mainly ‘filler’ in the form of front matter which can be unhelpful in making the choice whether to buy a book or not. And it can be annoying if you’re trying to get a feel for a book and have to wade through pages of posh reviews that are no help at all. I personally do a bit of both. I keep the copyright and dedication at the front, and the contents page, and a character list if I’m using one, and the acknowledgments, author’s note, author’s bio and other books bit I stick at the back. Write them in advance, so that you don’t delay your publication by having to quickly knock up yet another Word document. Also, you can use these items in subsequent publications with a few simple updates. The author asserts the moral right to be identified as the owner of this work. No part of this book may be reproduced or transmitted in any form or by any means, including but not limited to: graphic, electronic, or mechanical, including photocopying, recording, taping, or by any informational storage retrieval system without advanced prior permission in writing from the publisher. You can either type copyright in full or get the symbol from the Insert tab of your Word doc. You can change the size to whatever you want, both of the symbol and the copyright statement as a whole. I like to keep it small and so usually select a font size of 8 or 9. 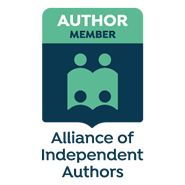 You may feel as an Indie author that you don’t need – or deserve (some people have told me this) – to protect your work. That’s (insert profanity of choice here) rubbish. You worked hard and you NEED to protect your author rights. Please don’t be naïve and think it’s unnecessary. Possibly you will find you still get plagiarised; for some books, it seems to be endemic, I don’t know why, and although there are steps you can take, it’s very difficult to stop it completely, as some authors have found to their cost. I don’t feel these are useful for fiction eBooks as eReaders remember where you got to, you don’t have to look it up. And very often, authors chapter titles are plain and simple: Chapter One, Chapter Two, etc. If you are publishing a non-fiction, you probably need the contents list. Tell people about yourself. Be quirky, be human. Put a face to the name for them. Use this bit also to include your social media contacts and advertise your website or blog. You can survive with just one or two versions, a long one and a short one. Ideally though, you need as many biographies as you do blurbs, and of the same kind of length. That way you’re good to go no matter what. Write them in advance, so you don’t have to have a last-minute panic, and update them periodically as your details and available books changes. Also by: this is a useful bit to include, as readers can see all your stuff, and even the reading order if appropriate. I also add in a Coming Soon bit on mine to let them know what I’m likely to bring out soon. I like to say thanks to a few people or tell them how much I appreciate their help. It’s just a line or two. I like to have it at the front. Anything more lengthy, I turn into an Acknowledgement and have it at the end! You can generate a Contents Table page in your Word doc without too much grief. Just, for an eBook, remember to click Format Table and take out the page numbers! If you tweak your manuscript, or make any kind of adjustments, you must remember to Update Table before you upload your document. A quick word about Word. If you are planning to upload your word doc to Amazon, your contents page should be fine, but for some reason, some authors prefer to save their Word docs are a pdf and upload that. If you do this, you need to do a whole new contents page as the pages will not be ‘clickable’ in your pdf. It’s a bit of a faff to build a clickable contents page in in pdf doc but it’s not hard, it’s just messy and tedious. If you want to do it, maybe Google it? I don’t have a crib-sheet for that as yet. Personally I recommend uploading a Word doc, it’s just easier all round. However, you need to remember to save your final version as a Word 1995-2003 document as Amazon don’t support the later versions of Word, or at least, last time I looked, they didn’t. Next week: Keywords, Promo and Do I need a Website. Oh yes, I was on the point of putting in, ‘i don’t feel they’re necessary, but they are required by most platforms,’ and then I forgot – attention span of a gnat! I’m really enjoying this series. I’m learning so much. Thank you for sharing.